Hardly a month passes by without press reports of new wonder drugs offering glimmers of hope to patients with dementia. Unfortunately, most of these stories prove to be misleading: like in the case of internet scams (lottery wins, free i-pads or miraculous princes offering their inheritance), if it sounds too good to be true, it probably isn’t true. Words like “breakthrough” or “game changer” can serve as useful red flags. Given the modest progress in pharmacological treatments of dementia, much of the interest has turned to factors which might either accelerate or delay its occurrence. Physical and mental activity has been associated with a later onset of dementia and a recent study suggests that changes in lifestyle might have contributed to a decrease in dementia prevalence. It might come as a surprise to many, but one of the mental activities best documented in this context is bilingualism: the ability to communicate in more than one language. Bilinguals develop dementia 4-5 years later and are twice as likely to recover cognitively from stroke than monolinguals. They show slower cognitive ageing, even if controlled for differences in childhood intelligence. And these effects are not confined to those who learned their languages early in their life and mastered them perfectly: a positive effect of language learning on attentional switching was detected already after a one-week intensive language course and persisted nine month later in those who practised five hours or more per week. Why could this be the case? A possible explanation is that the constant juggling between different languages, with their distinct sounds, words, concepts, grammatical and social rules etc offers an efficient training for so-called executive functions, such as attention switching, inhibition and monitoring. This builds up a higher “cognitive reserve” counteracting the effects of brain diseases. So let us consider bilingualism as if it were a pill. The first question is undeniably safety: does it have any side effects? The old myths that bilingualism causes schizophrenia, confusion or split identity belong to the treasure of history. But there are downsides; bilinguals have on average slower lexical access than monolinguals – it takes them usually more time to find a word, name a picture or decide whether a string of letters is a real word or not. It is a clear but small difference and does not impact on everyday life outside the laboratory. The second question, efficacy, is more contested. Not all studies found the same results and some of the beneficial effects of bilingualism might be due to confounding variables such as immigration or education. However, evidence from across the world shows clearly that bilingualism effects do not depend on immigration and if anything, are stronger in people with less education, including illiterates. But in contrast to most pharmacological interventions, we do not know the “dose-response”” curve of bilingualism: recent studies suggest that both, positive and negative effects might depend not only on the proficiency but also actual language use. The only study looking specifically at the cognitive effects in relation to the amount of time spent learning a new language found a threshold at 5 hours per week: remarkably close to the current recommendation for physical exercise. Finally, unlike most “magic pills,” bilingualism is cheap and easily available. It is compatible with many other activities and can be combined with music or social interaction. Some might find its taste more palatable than others, but given the costs, risks and potential benefits it is likely to be one of the best deals on the current market. 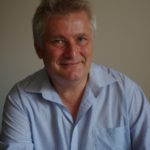 Thomas Bak is a doctor and reader in human cognitive neuroscience at the Centre for Cognitive Ageing and Cognitive Epidemiology (CCACE), University of Edinburgh, and clinical research fellow at the Anne Rowling Regenerative Neurology Clinic. William Cayley: Where is our faith?